Home Beyonce Enews Jay z Beyounce & Jay z Will Not Headline Hurricane Benefit Concert In New York!! Beyounce & Jay z Will Not Headline Hurricane Benefit Concert In New York!! A rep for Beyoncé’s team denies the Us Weekly report, according to NY Daily News. JAY-Z and Beyoncé have both been utilizing their platforms as entertainers to give back to communities throughout the course of their lengthy careers, a trend that is set to continue next month with the announcement the couple will be teaming up for a benefit concert to aid those affected by Hurricane Harvey and Hurricane Irma. As reported by US Weekly, the performance, which will mark Beyoncé’s first appearance on stage after giving birth to twins four months ago, is scheduled for Tuesday, Oct. 17 and will be held at the Barclays Center in Brooklyn, N.Y. While additional supporting acts have yet to be confirmed, the benefit concert will reportedly also feature fellow artists from the Roc Nation roster. Beyoncé recently took a trip to Houston to donate her time and give back first-hand, helping serve meals to those impacted by the hurricane’s devastation in late August. Additionally, the 36-year-old participated in the Hand-in-Hand celebrity telethon on Sept. 21, the fundraising effort organized by rap legend Bun B and music manager Scooter Braun. Hip-hop has continuously played an active role in hurricane relief efforts since the natural disasters left their mark in Texas, Florida and surrounding areas. Such efforts includeTrae Tha Truth rescuing victims by boat (like Orlando Magic’s Jonathan Simmons), Zoey Dollaz making the trip from Miami to assist via jet-ski, and artists such as Drake, Nicki Minaj, T.I., Diddy, Travis Scott, Kap G and more donating money and supplies to an assortment of organizations. 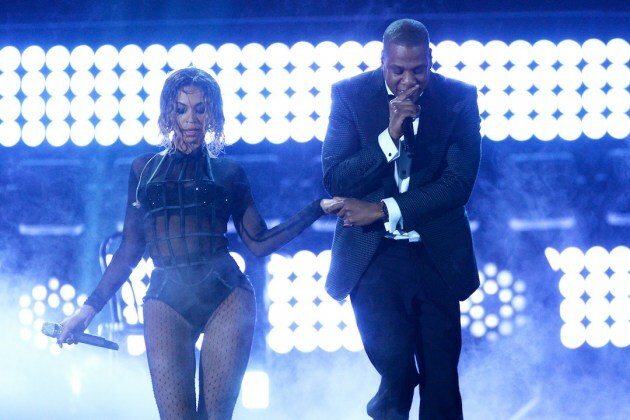 Judging from the success of the recent celebrity telethon and ongoing relief efforts, JAY-Z and Beyoncé’s upcoming benefit concert holds the potential to both make a massive impact and be a memorable night of live music.